Last night I was a guest on Greg Rempe's BBQ Central Radio program. 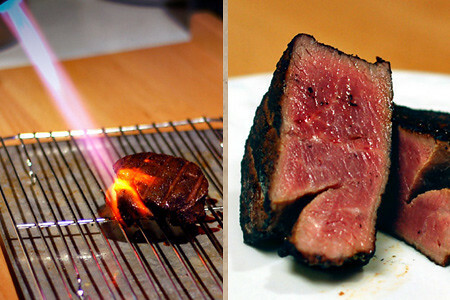 We discussed recipe inspiration and development, and a recent torched steak experiment. Carrie Oliver, owner of Oliver Ranch, was also on to talk about her experience becoming a certified KCBS competition barbecue judge. Oh man, I missed this. Do they have an archive? Christopher - The MP3 of the show is available here, or on iTunes as described above. Just wondering if you have a preferred method of cooking beef tenderloin if you *don't* have access to a BBQ? In other words you only have an indoor stove? I want to make one for some friends and I'm nervous because it's such an expensive cut. Any and all thoughts would be so appreciated! Sam - You can certainly oven roast a tenderloin, or pan sear tenderloin steaks.